mixing up deeply practical business “how to” with the psychology of success and clients challenges and success stories. As your business depends on you 100% and you need some sort of work/life balance they don’t neglect how to combine being a successful entrepreneur with being a partner, parent, sibling & child of ageing parents. Nicola & Judith are living the entrepreneurial life themselves every single day, so who better to learn from in this down to earth, funny, quirky podcast! Nicola Cairncross started online with nothing but a book about building websites at the age of 38. She bought her first domain in 1995 and witnessed the arrival of blogging, Twitter & Facebook. She has vast experience in marketing many “real world” businesses online from hotels to record labels, hydroponic wheatgrass manufacture, cement microscopy and fertility specialists along the way. Nicola now lives in Greece most of the time (her long-held dream) but travels the world, speaking at conferences, specialising in creating digital marketing strategy for SME’s and helping aspiring online business owners be more successful via her Clicks & Leads Membership Community. She’s managed to build four six-figure businesses while working at home, bringing up her two children who are now grown up and forging their own creative careers online. “The Laptop Lifestyle Mega Summit” is a pack of 18 dynamite interview recordings with global successful entrepreneurs, sharing their secrets of the REAL laptop lifestyle. 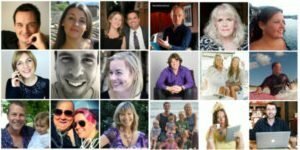 We hand picked each of these people to interview, to show you how to set yourself free to design your ideal lifestyle, whether working from home or travelling the world, while running a successful virtual business that you absolutely love. If you are bored sick of working for someone else, trading time for money, or of being a business owner living in one place, sick of the terrible weather and desperate to travel and have adventures, this Summit is for you! 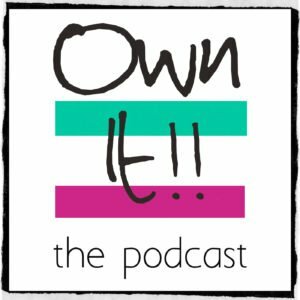 18 global entrepreneurs share their stories; listen and enjoy their tales of where they started, how they founded and grew their businesses, the tools & techniques they use to work on the go and what living and working in total virtual freedom really looks and feels like. By the time you have listened to these dynamite interviews, you’ll be so inspired you’ll want to set up your own virtual business and be researching how to live and work on the go. Included in the Clicks & Leads Academy Membership.